As the World Wide Web and various services like AOL and Yahoo! became popular, chat rooms arrived, bringing real-time, text-based group communications to the computer screen. What do early cave dwellers and millennials have in common? One could say emojis. Early man used crude rock drawings to communicate with others while today’s tech users often incorporate text, acronyms, GIFs, and emojis to quickly convey their thoughts. Telecommunication has evolved since the earliest cave engravings were carved more than 70,000 years ago. Here’s a quick look at how the written word has evolved since the dawn of mankind. Among the earliest known forms of written communication are the Blombos cave engravings in Africa, which are estimated to have originated in 70,000 BCE. Ancient civilizations around the world left their messages — and their marks — in rocks. Carvings or scratched images in rocks are known as petroglyphs while paintings on stone with natural pigments are known as pictographs. 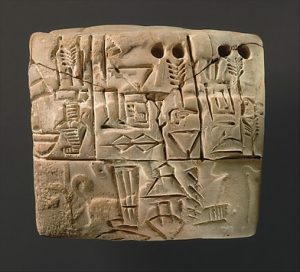 As far as writing more complicated texts goes, the British Museum reports that Sumerians developed a means of keeping records of grain, cattle and sheep around 3,000 BC: cuneiforms. Using tablets made from damp clay and a pointed tool, scribes used symbols to represent animals and various marks which became standardized as well as signs that could be combined to represent sounds to record spoken language. Meanwhile, other ancient civilizations such as those in Egypt and China were developing their own means of writing. Egyptian hieroglyphics used a series of pictures of real animals and objects and symbols to represent sound. Hieroglyphics were used for both record keeping and on monuments honoring deities and royalty. The ancient Egyptians used papyrus to write, right around the same time they began carving their hieroglyphics into stone. 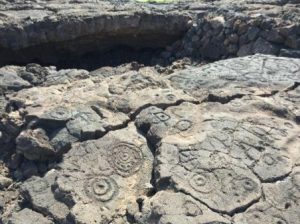 Believed to originate from about 1200 BC, patterns of cracks broken into turtle shells and polished oxen shoulder blades were originally used to predict the future. These early scripts evolved over the centuries, and are still in use today. Alphabets began to appear around 1400 BCE with the Greek alphabet arriving around 800 BCE and the Latin alphabet in 700 BCE. The famous Rosetta Stone is believed to date back to 196 BCE, containing Egyptian hieroglyphics, Demotic script, and ancient Greek writings. Over the years, scribes painstakingly recorded texts using ink and paper, a laborious task. In 1400, the printing press arrived, making mass communications possible. Carrier pigeons — Carrier pigeons were used around the world to carry messages. For example, the ancient Romans used them to notify owners about chariot race results while Genghis Khan used a pigeon relay system across Asia and much of Eastern Europe. Human envoys — You’ve heard the saying, “Don’t shoot the messenger.” Messengers were used to carry important messages across long and short distances alike. They were often dispatched on foot or horseback. Postal services — Postal services, such as Henry VIII’s national postal network, have a long, rich history. Henry VIII’s was established more than 500 years ago. As with human envoys, various transportation methods have been used to deliver correspondence including horseback, stagecoach, railroads, ships, and airplanes. 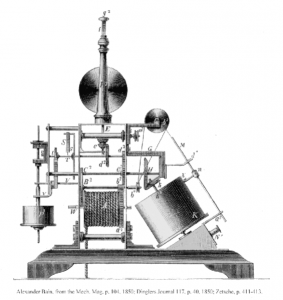 In the 1830s and 1840s, Morse code and the telegraph changed how the world communicated via text. A series of audible electrical signals were transmitted across wires, and later wirelessly, from one operator to the next. A combination of ‘dots’ and ‘dashes’ were used to represent each letter of the alphabet. The sending operator sent the signals for each letter of the message while the receiving operator transcribed them onto paper, which could then be dispatched via messenger. Instant messaging had arrived, changing telecommunications forever. According to Net History, email wasn’t invented, it evolved. Some of the early systems first appeared in 1965 — more than 50 years ago. By the late 1980s, commercial email systems such as Eudora began to appear. By the mid-1990s, AOL, Prodigy, and CompuServe had arrived, soon to be followed by Hotmail in 1996. 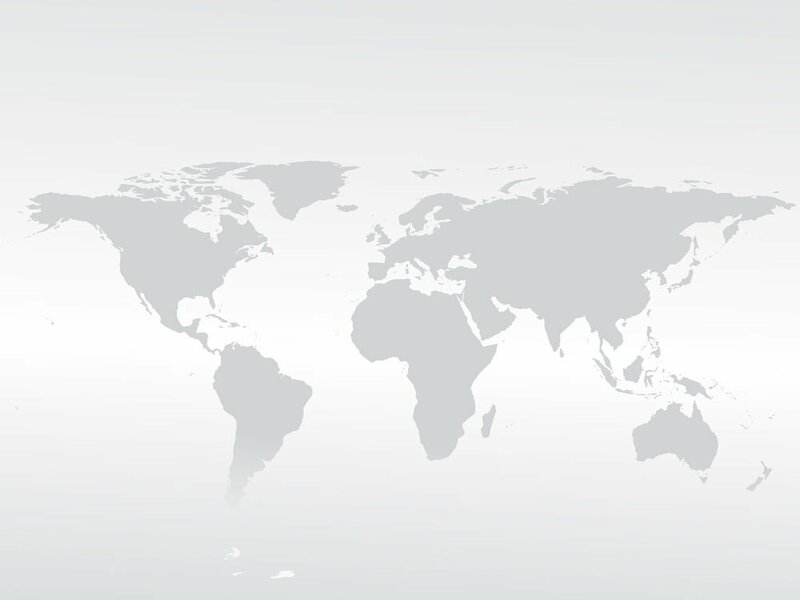 The World Wide Web was just becoming popular among everyday users. In 1998, President Bill Clinton sent the first presidential email to John Glenn, who was aboard the Space Shuttle Discovery at the time. Short Messaging Service started as an idea in 1984 and became a reality when the developer of SMS sent the first text on December 2, 1992. Nokia was the first mobile phone maker to build a mobile phone capable of sending text messages but with some limitations. For example, in order to send a text to someone, that person had to be on the same mobile network as you. Though in-network texting was typically offered for free, once cross-network texting arrived, costs became a serious concern — especially among parents who wound up with huge phone bills thanks to their teens’ texting habits. Today, texting is usually unlimited or offered with high monthly limits. In 2010, over 200,000 text messages were sent every minute. Just as ancient people used simple drawings to communicate, modern texters use cartoon-like drawings called emojis along with abbreviations and text. As the World Wide Web and various services like AOL and Yahoo! became popular, chat rooms arrived, bringing real-time, text-based group communications to the computer screen. These chat rooms have since fallen out of favor, though web chatting is still around — and thriving — in various forms. For example, online gaming communities often feature real-time chat boxes where players can chat as they play. Likewise, chat boxes are extremely helpful during phone and video conferences, adding another channel where participants can communicate with one another. The moderator of a web conference will often use the chat box feature to receive questions from participants or to provide links to other resources. A lot has changed since Neanderthals first scratched designs into stone. The way we communicate today is easy and instantaneous, bringing the world closer together. “A Complete History of the Rise and Fall — and Reincarnation! — of the Beloved ’90s Chatroom – The Washington Post.” 2017. Accessed August 11. https://www.washingtonpost.com/news/the-intersect/wp/2014/10/30/a-complete-history-of-the-rise-and-fall-and-reincarnation-of-the-beloved-90s-chatroom/?utmterm=.31593ffa95ab. “British Museum – Historic Writing.” 2017. Accessed August 11. http://www.britishmuseum.org/explore/themes/writing/historicwriting.aspx. “Collection | The Metropolitan Museum of Art.” 2017a. Accessed August 11. http://metmuseum.org/art/collection/search#!/search?q=cuneiform&perPage=20&sortBy=Relevance&sortOrder=asc&offset=0&pageSize=0. ———. “Collection | The Metropolitan Museum of Art.” 2017b. Accessed August 11. http://metmuseum.org/art/collection/search#!/search?q=cuneiform&perPage=20&sortBy=Relevance&sortOrder=asc&offset=0&pageSize=0. “For Texting Teens, an OMG Moment When the Phone Bill Arrives.” 2017. Accessed August 11. http://www.washingtonpost.com/wp-dyn/content/article/2007/05/19/AR2007051901284.html. “HISTORY OF WRITING MATERIALS.” 2017. Accessed August 11. http://www.historyworld.net/wrldhis/PlainTextHistories.asp?historyid=aa92. “Oldest North American Rock Art up to 14,800 Years Old.” 2017. Accessed August 11. http://news.nationalgeographic.com/news/2013/08/130815-lake-winnemucca-petroglyphs-ancient-rock-art-nevada/. “Our History | The Postal Museum |.” 2017. Accessed August 11. https://www.postalmuseum.org/connect/about/our-history/. “President Clinton Sends the First Ever Presidential Email (November 6, 1998) : HistoryofInformation.com.” 2017. Accessed August 11. http://www.historyofinformation.com/expanded.php?id=4561. “Relief of Hieroglyphic Inscription | Middle Kingdom | The Met.” 2017. 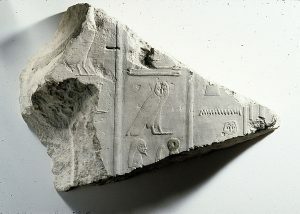 Accessed August 11. http://metmuseum.org/art/collection/search/555650?sortBy=Relevance&amp;ft=hieroglyphics&amp;offset=0&amp;rpp=100&amp;pos=13. “Text Messaging at 20: How SMS Changed the World – Telegraph.” 2017. Accessed August 11. http://www.telegraph.co.uk/technology/mobile-phones/9718336/Text-messaging-at-20-how-SMS-changed-the-world.html. “The Evolution of the Text Message.” 2017. Accessed August 11. https://www.rebtel.com/en/international-calling-guide/texting-sms/the-evolution-of-the-text-message/. “The Hallowed History of the Carrier Pigeon – The New York Times.” 2017. Accessed August 11. http://www.nytimes.com/2004/01/30/style/the-hallowed-history-of-the-carrier-pigeon.html. “The History of Fax (from 1843 to Present Day) • Fax Authority.” 2017. Accessed August 11. https://faxauthority.com/fax-history/. “The History of the Written Word Timeline | Timetoast Timelines.” 2017. Accessed August 11. https://www.timetoast.com/timelines/the-history-of-the-written-word. “The Text Message Turns 20: A Brief History of SMS.” 2017. Accessed August 11. http://theweek.com/articles/469869/text-message-turns-20-brief-history-sms. “Top 10 Oldest Art Ever Discovered in the History.” 2017. Accessed August 11. https://www.ancienthistorylists.com/pre-history/top-10-oldest-art-ever-discovered/.